Visit our all-new RF.Spice A/D Wiki site for a wealth of documentation and educational resources including numerous tutorial lessons. 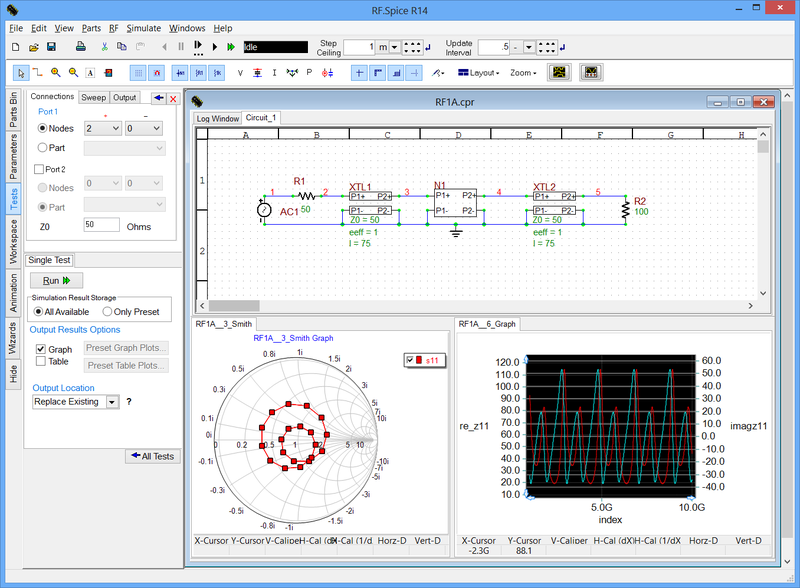 Ten types of physical transmission line models including microstrip, stripline, coplanar waveguide, coaxial lines, etc. Circuit visualization/animation displays the actual current flow through a circuit and relative voltage relationships by varying the wires’ display color. Cross probing interactively updates the graph as you add or move the probes around the circuit.